Some children are frequently attacked by cold and cough. Even in adult case also it is found. It is because your body is susceptible to many allergens and that’s why you get repeated cold like symptoms. Besides that your body immune power is weak enough to protect your body from the outward harmful agents. So you get frequently attack by common cold and cough. In this case the homeopathy treatment helps to eradicate your allergic tendency and also boost the body immune power so that the child will not get frequently attack by cold and cough. In our Multicare homeopathy online treatment center peoples suffering from frequent cold and cough have been profusely benefitted using our advanced homeopathic treatment packages. 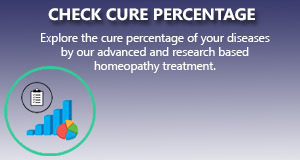 We apply the most scientific and research based homeopathy treatment package to gives a long standing cure to the ailment. we have 100% cure rate in this cases. 6 Best Homeopathic Medicines for Dyslexia | Delayed Learning in Child.